When you get on BRO, you'll meet a whole variety of different types of guys — short bros, tall bros, bearded bros, clean-cut bros, bros into sports, and even gamer bros. There's an endless variety, but what kind of bros are you looking for? And how would you describe yourself to your potential brossociates? 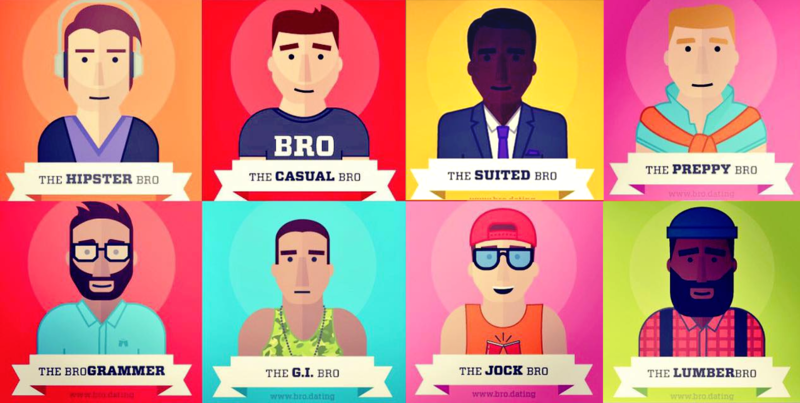 We have descriptions of the nine bro types to help you decide! His collar is popped & his shorts khaki. The Preppy Bro is ready to bro down with you whether it's over beers at the local sports bar, at an out-of-control frat kegger, or over a laidback Saturday of disc golf. But don't let the frat parties and antics fool you. The Preppy Bro is looking for a guy who will be his bro not only today, but also years down the road. Rugged (yet stylish), manly, and good with his hands, the Lumber Bro offers a mix of urban refinement and adventure. You can have fun with this bro camping, over a free-trade coffee, or at a craft beer tasting. But careful… he may look like he's ready to fell a Norway Pine, but you'd do well to buy him dinner first before expecting any woodworking activities. You'll find the Hipster Bro in his natural habitat — a recently gentrified urban neighborhood, perhaps while he's shopping for some new threads at the local vintage store and drinking some PBR. These bros know how to have fun with the culture around them, never taking themselves or life too seriously. The quickest way to his heart? Suggest an ironic bro-time activity, like competitive knitting or a fedora shopping spree. Just jeans and a t-shirt for the Casual Bro. Bro time with him isn't about being fancy, wild, or showy. The Casual Bro has no need for that stuff. Just a fun, easy time with awesome bros for this guy. 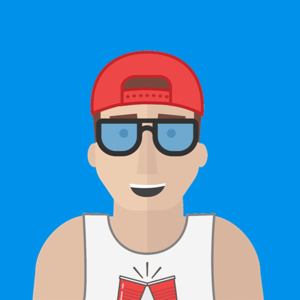 Equally cool with Netflix and chill or a night out on the town, this bro is looking for quality bros that are more concerned about a good heart than perfectly styled hair. The Fabulous Bro is simply fabulous, no question about it. Excitement, drama, and adventure are on the menu when you hang out with this bro… be it at an art opening or an epic Drag Race viewing party. He's got it all — charisma, uniqueness, nerve, and talent, of course — but make sure you respect this bro or he'll take out his reading glasses and give you a spelling lesson. The Brogrammer has this career thing down, but he could still use a best bro or two for bro activities. He keeps his bro time casual, but don't expect to just sit around and chill. The Brogrammer is known for his keen interest in gaming activities — tabletop games, RPGs, LARPing, you name it. Movies, trivia nights, and vintage arcades may also be in your future with this bro. If you like a bro in uniform, then you'll love the G.I. Bro. Clean-cut, fit, and well-mannered, this bro spends his work life in very regimented environments. To unwind, he might want to do more of the activities he's skilled at — target practice, working out, etc. — or he may be looking for something completely different — army movies, bar nights, or just chilling with his best bros drinking some Budweiser. Do these other guys even lift? The Jock Bro is always on the lookout for a workout buddy. Rather than spend his day on the couch, this bro enjoys team sports, running, lifting, hiking, climbing, and maybe even something more extreme. You'd better be able to keep up! But the jock bro would prefer you don't run circles around him either… Yesterday was leg day, so he's not back at 100% yet! What’s your ideal Bro Type? Log on to BRO and find out at www.broapp.co!